Do you have a child who just loves wrestling? If the answer to that question is yes, then the only question you should be asking yourself is why you haven´t already bought this superb car decal! 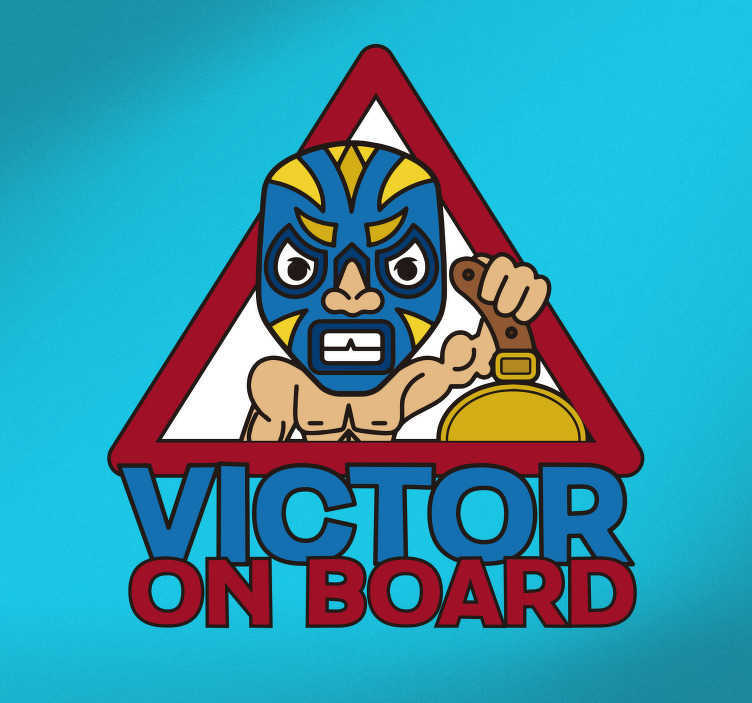 Depicts a baby with a wrestler´s mask on, above the words informing other drivers that your child is on board! The name can also be customised for whatever your child is called, making this a perfect vehicle sticker for anyone!